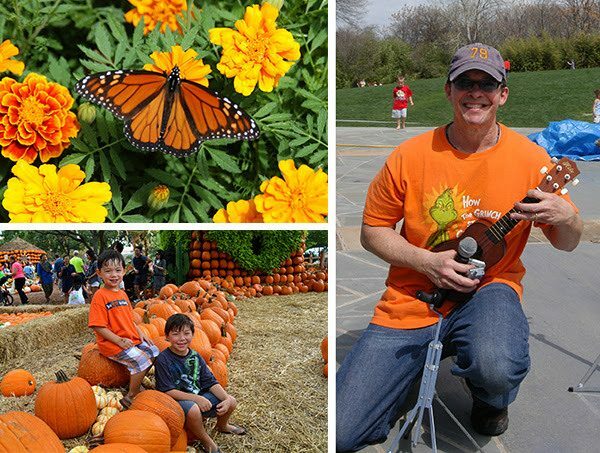 Dallas Arboretum Celebrates Columbus Day Weekend Festivities! You are here: Home / Dallas/Fort Worth Events / Dallas Arboretum Celebrates Columbus Day Weekend Festivities! Dallas Arboretum Celebrates Columbus Day Weekend with Special Festivities! The Dallas Arboretum celebrates Columbus Day weekend with a plethora of activities in the garden for guests to enjoy including the annual children’s concert with family favorite Eddie Coker on the Martin Rutchik Concert Stage and Lawn, children’s activities in the Pumpkin Village and a book reading by Patricia Vermillion. The annual Columbus Day Concert featuring Eddie Coker, sponsored by DallasChild, will be held on the Martin Rutchik Concert Stage and Lawn on Monday, October 12 with performances at 11 a.m. and 2 p.m. Guests are invited to listen to live music overlooking the picturesque White Rock Lake while enjoying a picnic on the lawn. Guests are also able to take advantage of live musical performances over the holiday weekend. On Saturday and Sunday from 11 a.m. to 1 p.m., families can relax on the Martin Rutchik Concert Lawn while enjoying festive melodies to celebrate the Columbus Day weekend. Children’s activities include special crafts, face painting and more in the Pecan Grove amongst the nationally acclaimed Pumpkin Village and this year’s Old Texas Town made up of thousands of pumpkins, gourds and squash. Children’s activities continue on Columbus Day in the Pecan Grove including a petting zoo, face painting and Kindermusik amongst the Pumpkin Village, where photo opportunities abound. Patricia Vermillion, local author of Texas Chili? Oh My!, will read her festive children’s book, The Three Little Pigs – Texas style! Meet Bluebonnet, Mockingbird and Sweet-Olive, three little armadillos, as they leave Mamadillo’s home and build their own dens out of native Texan materials. The Children’s Adventure Garden will feature Monarch butterfly migration activities, a puppet show, butterfly tagging and multiple labs. Guests can experience multiple Columbus Day themed activities including Columbus’s Cartographer presentation in the OmniGlobe Theater, The Great Exchange in the Incredible Edible Garden, La Nina, La Pinta and Santa Maria activity on the Pure Energy Island and several other labs. For a complete list of Children’s Adventure Garden activities and times, visit the activities page.